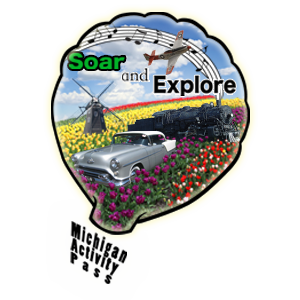 The Michigan Activity Pass program of 2018-2019 features 443 partner destinations available to patrons of the 638 participating public library buildings! This program, a partnership between Michigan’s public libraries and art, cultural and recreational organizations, is designed to enhance the learning and relaxation experiences for people of all ages by providing reduced cost or complimentary access to destinations across the state of Michigan. Some of the participating cultural partners include the Yankee Air Museum, the Michigan Science Center, the Detroit Institute of Arts, the Great Lakes Shipwreck Museum, the Pictured Rocks National Lakeshore, and many others. Library users with a valid library card from any one of Michigan’s nearly 400 public libraries can print a pass, either from home or at the Library, to one of the participating locations at the Michigan Activity Pass (MAP) web site. Some offer complimentary or reduced price admission; others, discounts in their gift shop or other exclusive offers for MAP pass holders only. Each Michigan Activity Pass expires one week from the date it is printed. Patrons may check out one MAP pass per library card every 7 days. Go to the MAP website and print your passes!